When single mom Courtenay Edelhart decided to foster two children over a decade ago, health insurance played a big role in her decision. Both birth moms had used drugs while pregnant, and she wasn’t sure of the possible health effects on her babies. As Congress and the Trump administration hash out plans to repeal and replace the Affordable Care Act, Edelhart is concerned about her own well-being as well as her children. Adopting former foster children brings distinct health challenges, and she says health insurance has allowed her to care for her children and herself. But assistance for families with former foster children can come in a variety of forms, many of which are also at risk. As a single mom with a low income, Edelhart qualifies under the ACA’s Medicaid expansion. Her son and daughter also are receiving Medicaid, a program which could face significant cuts if Republicans push forward with their plans to fund the program through block grants to states. Edelhart fostered her two children when they were 9 and 10 months old, and adopted them when they turned 2. As part of her son’s special-needs adoption, he was guaranteed Medicaid until he turned 18. Her daughter did not receive the same benefit (a child’s background and special needs determine what type of federal or state assistance he or she qualifies for upon adoption, according to the North American Council on Adoptable Children.) Edelhart had health insurance through her work as a newspaper reporter in Indianapolis, and later at the Bakersfield Californian, where I was also a reporter. As the years went on, Edelhart questioned the security of her journalism career and her ability to be a solo breadwinner for her children. “I didn’t foresee that the newspaper industry would crash and burn,” she said. Fearful of her ability to support two children in a struggling field, she left her job in 2015 to attend paralegal school. While she’s in school, she supports her family on a meager freelancing salary, student loans and credit cards. But the family’s financial struggles haven’t stopped them from gaining health coverage, which has proven essential for them. Edelhart, 50, has high blood pressure, high cholesterol, and is pre-diabetic, or what insurers refer to as pre-existing conditions. She takes three pills a day that keep those health conditions under control and ease her fears about a genetic predisposition to heart disease, since her father died at 58 after two heart transplants. Her son’s Medicaid benefits have covered his treatment for the myriad health conditions he’s suffered as a result of pre-natal drug exposure. Now, at age 12, he has ADHD, anxiety, asthma and a learning disability that keeps him two grade levels behind his peers. Edelhart takes him to the doctor at least once a week. While her daughter, 14, has escaped those same health challenges, her athletic prowess often puts her at risk of injury. Hurdles led to a sprained ankle. A baseball to the head landed her in the emergency room. Health challenges such as those faced by Edelhart’s son aren’t unusual for children in the foster care system, said Fatima Morales, a policy and outreach senior associate for Children Now, a California children’s advocacy group. Children enter the foster system as a result of abuse or neglect, Morales said. As their bodies and minds develop, that childhood trauma can have a serious impact on their short-term and long-term health. Health coverage can help ensure those health needs are met, whether it’s through medical visits or counseling services. Between 35 and 65 percent of children entering foster care have at least one chronic or acute physical health condition that needs treatment, according to a report from the Congressional Research Service on the health care needs of children in foster care. “As many as one-half to three-fourths show behavioral or social competency problems that may warrant mental health services,” the report states. 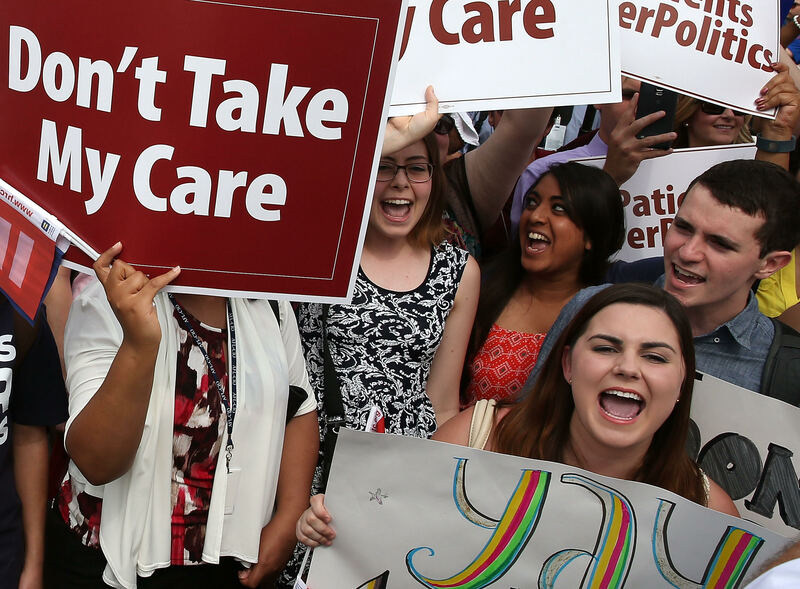 For foster youth and former foster youth, a repeal of the ACA and proposed changes to Medicaid could have major consequences, according to children’s health advocates. The ACA legislation made it possible for former foster children to stay on Medicaid up to age of 26, as long as they were in foster care and enrolled in Medicaid when they turned 18. Changing Medicaid to block grants to states could lead to reduced benefits to foster children, depending on state choices and how federal funding changes over time. Also at risk: health coverage for children in foster care with special needs who are adopted and receive Medicaid health coverage until age 18 or 21, depending upon the child’s specific circumstances. Finally, rolling back the Medicaid expansion for low-income adults could eliminate health coverage for the parents of such children.